ESL One Katowice 2018 is the 12th Dota Pro Circuit LAN event of the 2017-2018 competitive season. 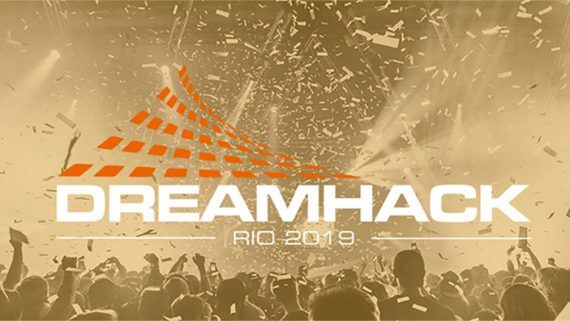 The tournament has a prize pool of $1 million and brings together 16 of the world’s best Dota 2 teams and is scheduled to take place in Katowice, Poland between February 20-25. 1st place: $400,000; 750 points. 2nd place: $200,000; 450 points. 3rd place: $120,000; 225 points. 4th place: $80,000; 75 points. 5th-6th place: $50,000; 0 points. 7th-8th place: $20,000; 0 points. 9th-12th place: $10,000; 0 points. 13th-16th place: $5,000; 0 points. North America: compLexity Gaming, Evil Geniuses, OpTic Gaming. China: Newbee, LGD Gaming, Vici Gaming. CIS: Virtus.pro, Natus Vincere, Effect. Europe: Team Secret, Team Liquid, Team Kinguin, OG. The tournament has two stages which are the Group Stage and the Playoffs Stage. Initially, the teams will be divided into two groups of eight and each group will be played in a double elimination bracket format (GSL). The winner of each group advances to the Semifinals. The second and third placed teams in each group advance to the Quarterfinals. Playoffs will have six teams in total and will be played in a single elimination bracket format. 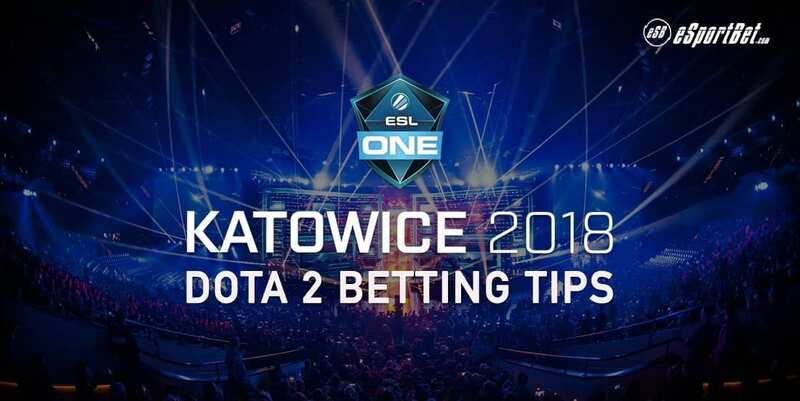 Unlike most Dota 2 tournaments that use this competitive format, ESL One Katowice 2018 also has a 3rd place match. Team Liquid is sitting at number two in the Dota Pro Circuit rankings and is in every respect a vastly better team than Effect, so they’ll almost surely win this match with ease. This is a confrontation between the TI 7 champion and a complete outsider to the world of big Dota. This competition is actually the first Dota Pro Circuit event this season for the CIS squad. This is the best betting opportunity on this list in my opinion, simply because Vici Gaming is underrated while OG is completely overrated right now. And the reason why these teams are rated the way they are is the following: Vici Gaming lost a lot of games recently, while OG is on a long winning streak (they won 12 matches in a row). However, Vici Gaming’s losses came against world class regional rivals (Chinese powerhouses like Newbee and LGD Gaming), while OG’s victories came against provincial nobodies. In the Dota Pro Circuit rankings, Vici Gaming is above OG and overall, they’ve performed much better than the Europeans throughout the season. So the fact that so many people see OG as the favorite here is very strange but also constitutes a great betting opportunity. Mineksi is in pretty good shape right now (they’re on a 7-win streak), so I can’t imagine them losing to a much weaker team. In the Dota Pro Circuit rankings Mineski is sitting at number 6 with 900 points while compLexity Gaming is sitting at number 14 with 135 points. The results difference between these two teams at official international competitions has been enormous. The only thing that worries me a bit with regards to compLexity Gaming’s capacity to stand up to Mineski are the North American team’s recent results. During qualification matches for future Dota Pro Circuit LAN events, they won their last 5 confrontations. And some of the teams they managed to beat are actually pretty strong: Immortals, OpTic Gaming and Evil Geniuses (they defeated them twice in a row in the EPICENTER XL regional qualifiers). The betting: Bovada puts the odds at around 1.44 – 2.50 in favor of Mineski, and their chance of winning is actually very high. So overall, this is still a bet worth taking even though compLexity Gaming has a slight chance of producing an upset. Mineski to win: $1.44 at Bovada. After their recent roster change (RodjER replaced Lil), Virtus.pro’s lineup is even stronger than before. Having seen many of RodjER’s matches, I would compare him to Team Liquid’s GH at this point. He is absolutely brilliant as a position 4 roaming support. OpTic Gaming is not a bad team either, and having a former TI champion as captain (Peter “ppd” Dager) is certainly an advantage. However, as their recent defeats against Evil Geniuses proved, they’re still an underdog and an outsider to the world of big Dota 2. All things considered, Virtus.pro will almost surely crush them in this match. The betting: Bovada puts the odds at 1.14 – 4.75 in favor of Virtus.pro, as the likelihood of an upset is extremely low. Virtus.pro to win: $1.14 at Bovada. 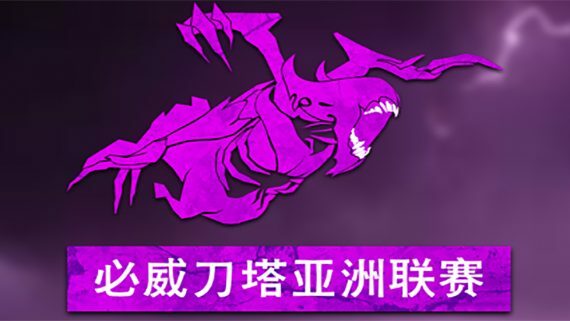 This can only end one way, unless Secret lose a player or have to abandon or something of this nature. It’s practically impossible for the number 1 team in the Dota Pro Circuit rankings to lose against one of the weakest teams at this event. The betting: Bovada puts the odds at 1.02 – 11.00 in favor of Team Secret. Team Secret to win: $1.02 at Bovada. These two teams are pretty close to each other in terms of strength, so this is a match in which anything could happen. Based on their recent results, LGD Gaming is more likely to take the win, but not by much. This is another excellent betting opportunity, as the strength difference between these two teams is huge at the moment, but the odds are still very good. After their recent roster changes, Natus Vincere has showed multiple signs of weakness and lost a number of matches against supposedly much weaker opponents. At the same time, Fnatic has been playing better and better, besting regional rivals and qualifying for important Dota Pro Circuit events. The two new players they acquired in the past few months (Abed and UNiVeRsE) have been almost fully integrated and the roster is performing confidently at the moment. This is a huge mismatch and Newbee should easily win this dispute. As their recent championship title at ESL One Genting 2018 proved, the Chinese team is at its TI 7 level right now and maybe even stronger. However, keep in mind that Team Kinguin will be playing on their home soil and that may have a positive effect on their performance throughout the ESL One Katowice 2018 Major. EsportBet.com has a handy tool for punters which will make finding a betting site that accepts people from your country simple. The below table only displays bookies that will accept people from your country. For more information on the betting sites available visit our extensive guide to online esports wagering.